I haven't posted in a while. I would give you the all too common excuse of I'm busy but it sounds just too cliche. And I will have to say I love this busy. So what have I been doing? First we had a baby. Then I got thrush and had to deal with a screaming baby. Then he got over that and we were all thankful. We got into a routine of preschool and the gym and the library and naps (for the kids - not me!). It has been glorious. There were some big things that happened in there too. 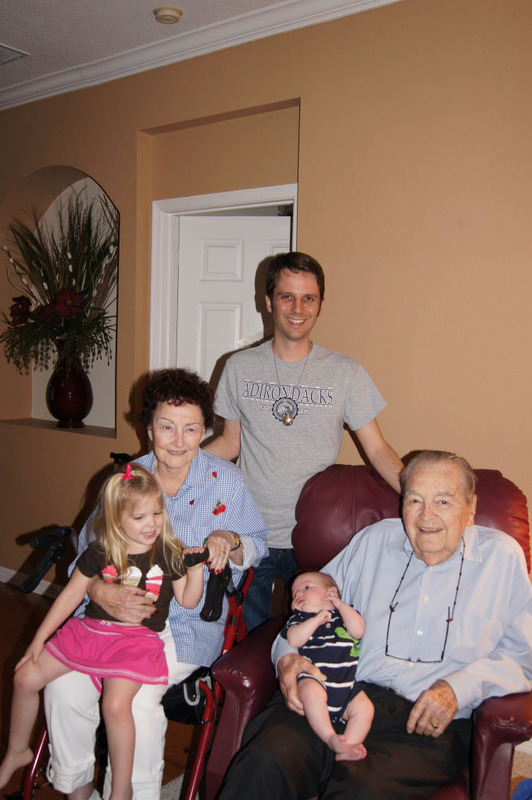 We took a trip to Florida to visit Ryan's grandparents. I am ashamed to say that I hadn't seen them since our wedding 12 years ago. Ryan had visited them a couple years ago but Ainsley was little and so I decided not to go. This time it felt right for all of us to go. Oh and they live in Orlando. So what better thing to do than to introduce Ainsley to the wonderful world of Disney! She loved every second of it and David was a trooper and endured it. 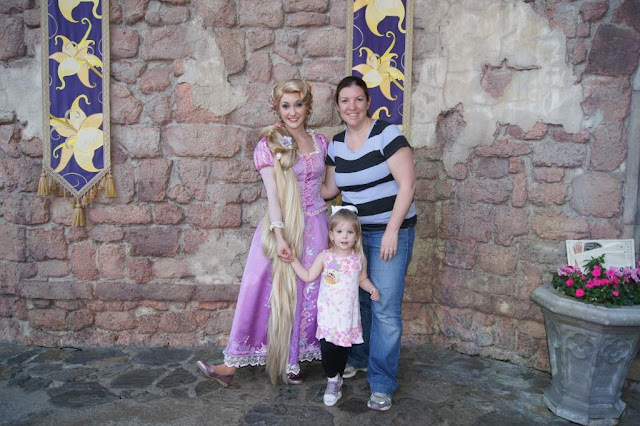 Her highlight was definitely meeting Rapunzel. I think I see a birthday theme developing. Another major event is that we have started the path of testing David for urinary reflux. We had to do it with Ainsley and now the process starts all over again. It broke my heart to put Ainsley through this and now it's breaking my heart to put David through it. So far we know that he has a "pretty good" chance of having it. I say that's pretty bad. We will know for sure on May 8th. And with that the time has flown. David will be 12 weeks old on Tuesday. That can only mean one thing. Back to work. 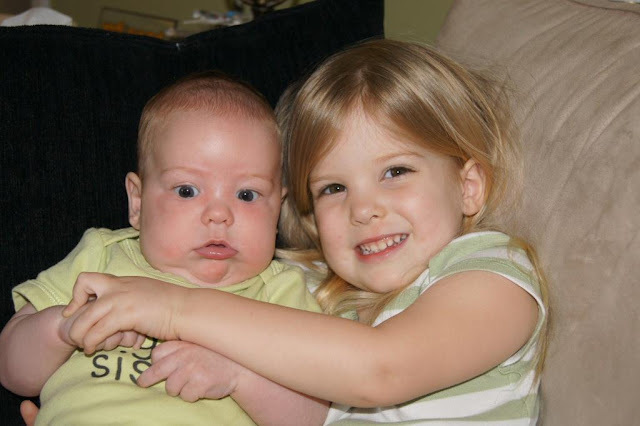 When Ainsley was 12 weeks old, I was kind of ready to go back to work. I was bored. Not this time. I am not sure what changed but I am sure of one thing. It has changed. And that is the curse of maternity leave. It has to end.